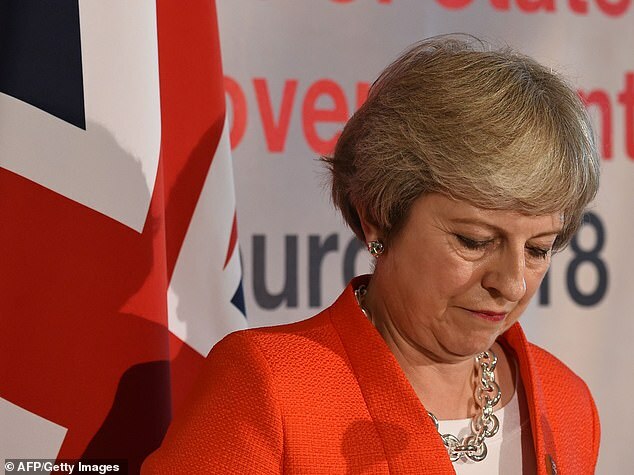 Theresa May pleaded with Tories to 'hold your nerve' today amid claims No10 aides plotted a snap election following her humiliation by EU leaders. 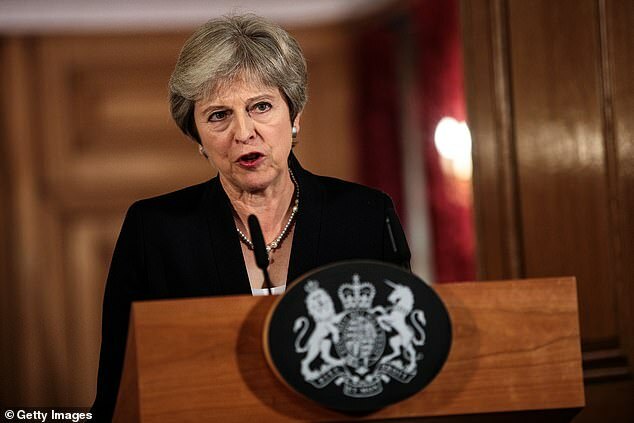 The Prime Minister warned that failure to stick together in the face of attacks from Brussels and opposition parties could mean Brexit is 'thwarted'. 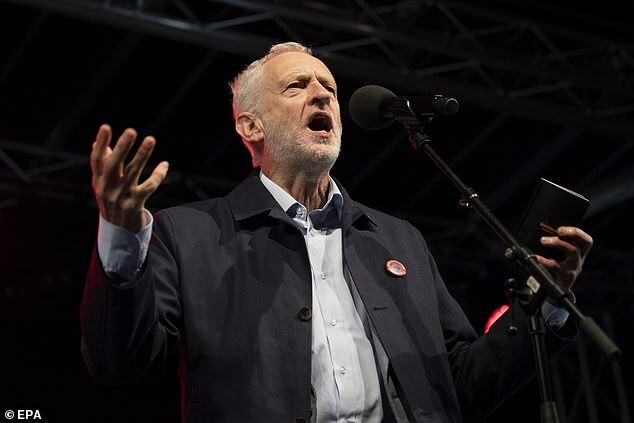 The appeal for unity came as Jeremy Corbyn declared for the first time that he is willing to support a second referendum on any deal with the EU. 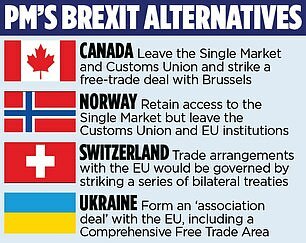 The extent of the panic caused in Downing Street by EU leaders' brutal knifing of Mrs May's Chequers plan in Salzburg last week has been underlined by suggestions that some advisers 'war gamed' holding an election. 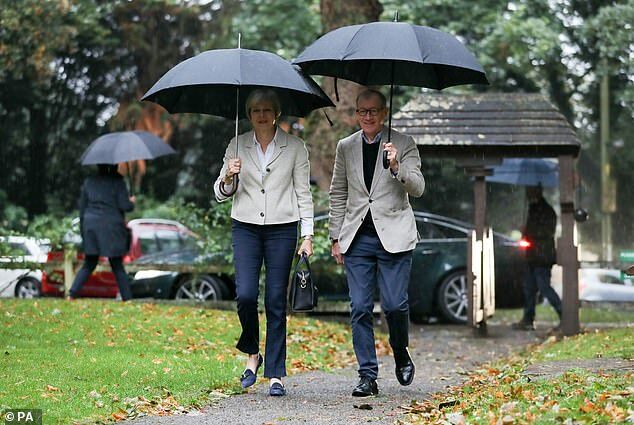 Two powerful aides are said to have argued that the only way to 'make the Commons arithmetic work' could be to ditch Chequers, and please the Brexit wing of the Tory Party by swinging behind the 'Canada model' for a looser free trade agreement. The plan would then involve Mrs May going to the country in November in a bid to win a majority for the package. The thinking has been encouraged by the latest polling which indicates a slump in support for Mr Corbyn among those who voted Labour at the 2017 Election. As she attempted to cool tensions today, Mrs May issued a statement saying Conservatives needed to come together in a spirit of national unity and 'do what is right for Britain'. 'Now is the time for cool heads. And it is a time to hold our nerve,' she said. 'I have said many times that these negotiations would be tough, and they were always bound to be toughest in the final straight. 'But what's also clear is that many in Labour, the Liberal Democrats and the SNP are trying to thwart Brexit at every step and seeking to exploit this moment for political gain. 'Some are now openly advocating a second referendum and extending article 50 to delay Brexit, sending us right back to square one. Others are talking directly to the EU to actively undermine the UK's negotiating position. A prominent Tory donor is threatening to fund a new 'hard Brexit' party in protest at Theresa May's Chequers plan. City Financial Jeremy Hosking, who donated £1.5million to the Leave campaign and has given £375,000 to the Conservatives since 2015, told the Sunday Telegraph there was 'clear support' for a new political group. He told the newspaper that Brexit voters are 'being heated up slowly like laboratory frogs' under the PM's blueprint. As a result there is a 'gap in the political market' and Mr Hosking said he 'intends to help fill it'. 'But I say, this is the moment to put our country first. This is the moment to set aside our differences and come together in national unity. Brexit Secretary Dominic Raab also dismissed claims about a snap general election 'for the birds'. 'It's not going to happen,' he told BBC1's The Andrew Marr Show. Mr Raab said the Government would keep negotiating with the EU on the basis of the Chequers proposals. 'This is a bump in the road. We will hold our nerve, we will keep our cool and we will keep negotiating in good faith,' he said. 'What we are not going to do is be dictated to. The UK is one of the biggest economies in Europe, if not in the world. Pro-EU former Cabinet minister Nicky Morgan said she believed Chequers might well be 'dead' - but warned that a leadership challenge to Mrs May would not be in the interests of the Conservative Party or the country. 'Having a leadership election now would not be in the country's interest. 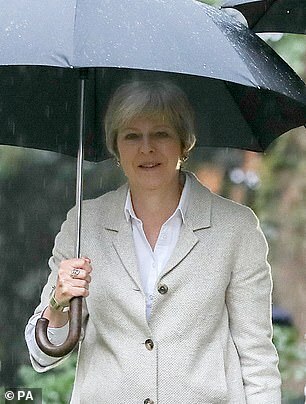 There are particularly a lot of the hard Brexiteers who want to bring the Prime Minister down,' she told Sky News' Sophy Ridge On Sunday. 'This is not a move that would help the country in order to get to the best position after Brexit which does least damage to the economy. That is what we as Conservatives should be focused on. With time running out, the EU's chief negotiator Michel Barnier has said the 'moment of truth' will come at next month's EU summit in Brussels, when it should become clear whether the two sides can reach an agreement. Foreign Secretary Jeremy Hunt urged EU leaders yesterday to 'step back from the abyss' of a no-deal Brexit and to engage with Mrs May's Chequers plan. He said the Prime Minister was in earnest when she warned she would walk away from the negotiations rather than accept a 'bad deal'. But he also pointedly refused to rule out switching to a Canada-style model. 'What Theresa May is saying is 'Don't mistake British politeness for weakness. If you put us in a difficult corner we will stand our ground. 'That is the kind of country we are,' he said. Asked about a Canada-style plan, he said he was 'not dismissing anything', but warned it would not address the issue of the Irish border in the same way Chequers did. Meanwhile, a prominent Tory donor is threatening to fund a new 'hard Brexit' party in protest at Theresa May's Chequers plan. 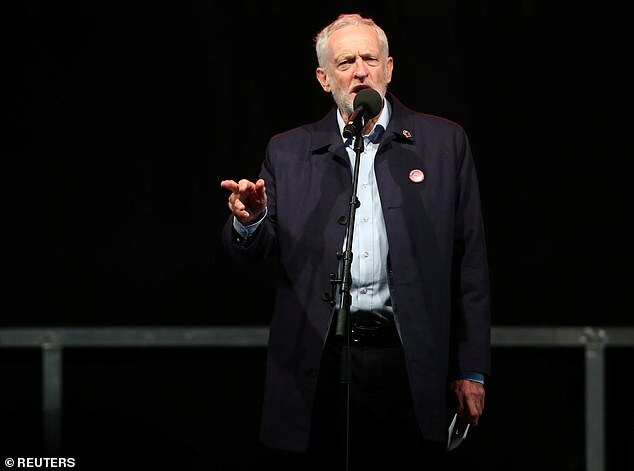 Speaking to the Sunday Mirror, Corbyn said: 'What comes out of conference I will adhere to. But I'm not calling for a second referendum. I hope we will agree that the best way of resolving this is a General Election.